In order to formulate an antidote faster and more accurately, Shen Yanxiao didn’t hesitate to secretly add five or six kinds of single curse techniques on her body. Each curse technique raised her five senses to a certain degree to ensure that she would not quickly lose the ability to judge. This was the first time she fought for herself and thought of good countermeasures right from the very beginning. Damage the enemy one thousand times, but harm oneself 800 times was never her style. She would rely on her own strength to win this compet.i.tion completely! Shen Yanxiao finally arrived at the place where the other herbs were. She concentrated to find her own goals, and she already had a certain understanding about the negative potions she had drunk. However, this sudden change of Shen Yanxiao made Pu Lisi unprepared. Seeing that Shen Yanxiao was already preparing to concoct the antidote, Pu Lisi immediately looked towards Shangguan Xiao and Luo Fan’s direction. He did not want see his own disciple to lose to that kid again. But this one glance made Pu Lisi freeze. Five or six minutes had already pa.s.sed since Shangguan Xiao and Luo Fan had drunk the potions prepared by Shen Yanxiao. Yet, the two people were still maintaining their posture when they had just drunk the potions. The two people were holding a bottle in each of their one hand, and both of their faces were full of smugness. "Why aren’t they moving?" Fang Qiu stood beside Pu Lisi. He was very puzzled as he watched the two completely motionless men, and he was secretly anxious. What the heck was with these two guys? A problem already arose on Shen Yanxiao’s side, but they actually did not react at all. These idiots were just stupidly standing in place! "They are not motionless," Pu Lisi’s voice suddenly became dry. He figured out that Luo Fan and Shangguan Xiao, these two people were not actually motionless, but rather their movements were very slow. The two people were holding a bottle each on one of their hands, and the naked eye could actually see the speed as they slowly lowered it down. However, the speed was extremely slow just like snails. "What’s the matter with them?" Fang Qiu rubbed his own eyes and finally discovered the weird part about Shangguan Xiao and Luo Fan. Although the two men were moving, their speed and scope of their actions were too small. In a minute’s time, they had just put their hands down less than a finger’s distance. Pu Lisi narrowed his eyes as his mind quickly searched for ideas. Finally, he thought of something, but the instant the thought came into his mind, his complexion instantly turned white. "Shen Jue... he made a Slow-acting Potion!" Pu Lisi took a deep breath and opened his mouth with difficulty. "Slow-acting Potion? Are you kidding!?" Slow-acting Potion was just an Intermediate negative potion which was essentially harmless, except that it allowed drinkers to act and react very slowly for a limited period of time. You're Read The Good for Nothing Seventh Young Lady Chapter 442 online. If you find any errors or translatation mistakes, please let us know so we can fix that as soon as possible. You're reading The Good for Nothing Seventh Young Lady by Author(s): North Night,夜北. 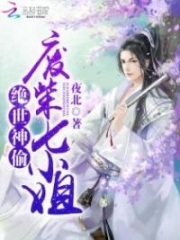 This novel has been translated and updated at LightNovelsOnl.com and has already 8386 views. And it would be great if you choose to read and follow your favorite novel on our website. We promise you that we'll bring you the latest novels, a novel list updates everyday and free. LightNovelsOnl.com is a very smart website for reading novels online, friendly on mobile. If you have any questions, please do not hesitate to contact us at [email protected] or just simply leave your comment so we'll know how to make you happy. Current Time is 26-Apr-2019 16:33:21 PM.